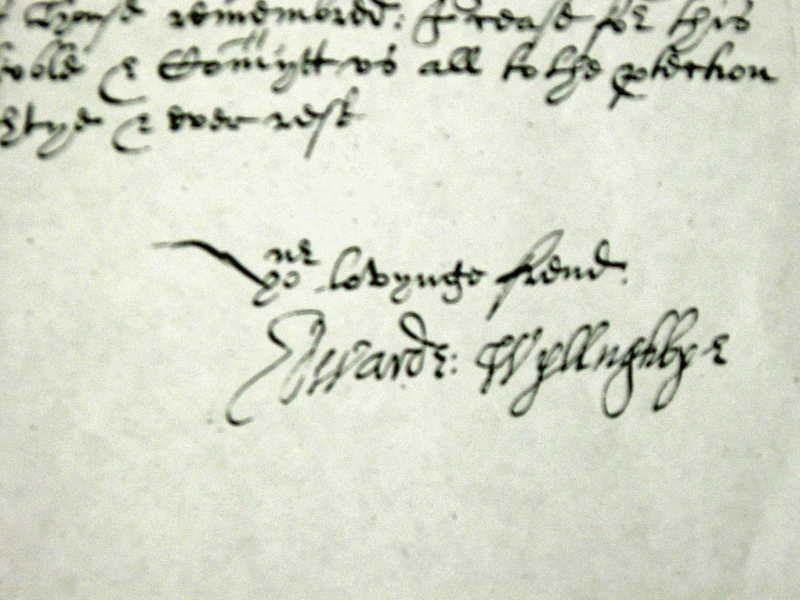 The Warden of Sutton Coldfield in 1621 was Edward Willughby, responsible for a total annual budget of £90. Although not a native of Sutton, he had settled here and established himself over the previous thirty years - he was also Warden in 1610, 1615, 1624 and 1634. As well as being Warden, he was in charge of the property in Sutton which belonged to Emmanuel College, Cambridge. Emmanuel College had been founded in 1584 by men with Puritan leanings, and a former Lord Mayor of London, Sir Wolstan Dixie, gave the new college £600 to be used to buy an estate, the annual income from which would fund two fellows and two scholars. The College used this money to buy property in Sutton in 1593, and it was this estate that Edward Willughby managed. The principal house on the estate was in Maney, described as a mansion house or sometimes as Maney Hall, which stood in Birmingham Road opposite Bodington Gardens - it was demolished in 1764. Most of the other property was also in the Maney and Wylde Green district, but an inn called the White Hart in Sutton High Street and property in Mill Street also belonged to the college. In 1621 the White Hart, a timber-framed building, burned to the ground, and Edward Willughby decided to rebuild it. The building he constructed on the site was a fine stone house with thirteen brick chimneys which stands to this day, though much altered. Edward Willughby may have been responsible for other Sutton houses - his father-in-law Sir Francis Willoughby had recently built Wollaton Hall in Nottingham, Aston Hall was under construction by Sir Thomas Holte not far away, and his brother Sir Percival was adding to Middleton Hall. Sir Percival Willughby had married the heiress to Wollaton and Middleton, Bridget Willoughby (they were distantly related) and Edward Willughby’s wife was Bridget’s sister Winifred. Although Edward was building on a humbler scale, he was proud of his work, and he wrote to the Master of the College on 16th October 1624 urging him to come to Sutton and see how well-ordered the estate now was. Of the buildings on the original estate, the only one still standing is “The Smithy” in Bodington Gardens, Birmingham Road - perhaps it owes some of its features to Willughby’s improving hand. 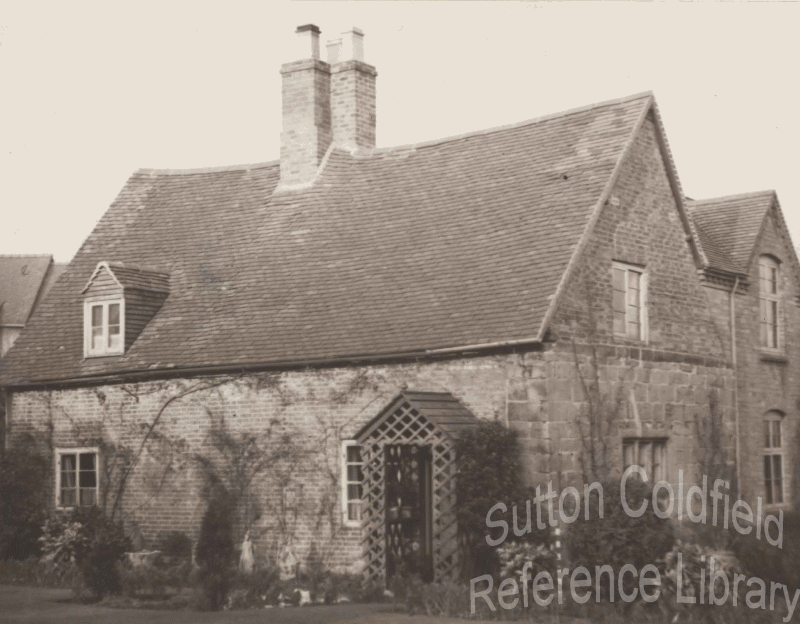 “The Smithy” as it was a century ago (photo courtesy Sutton Reference Library).